Facebook's been going through a bit of a rough patch lately, to say the least. From the recent Cambridge Analytica scandal that provoked a whole movement encouraging users to delete their accounts, to the squirmy testimony founder and CEO Mark Zuckerberg delivered in front of Congress as a result, the social media behemoth has been forced to reckon with its identity in a world it helped create. And as a result, the company is reportedly exploring a paid, advertisement-free version of the site. Facebook is conducting market research to weigh the viability and potential benefits of a subscription-based version of the social network that's stripped of ads; specifically, whether such an offering would help attract more users to join or re-join, according to a new report from Bloomberg. An ad-free Facebook might be a way to court users who are turned off by its hyper-targeted advertising and the way in which it collects user data to do so. Getting people to pay to use Facebook would obviously be another source of revenue for the company, when you consider it has more than a billion daily active users. To be clear, this is not a suggestion that Facebook is trying to find a way to get everyone to pay to log in. As Zuckerberg stated in his congressional testimony in April, and as Bloomberg notes, there will always be a free version of the site. A paid version would simply be available for anyone who'd prefer an ad-free experience. It also bears repeating that none of this is confirmed to be happening yet, and the company could very well abandon any plans it might be working on. 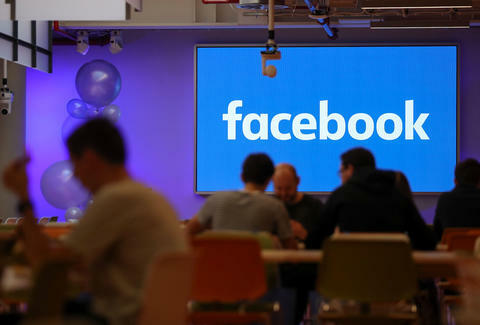 Facebook has considered adding a similar subscription fee option in the past, but Bloomberg argues that the intense scrutiny lately may have shifted thinking on the whole idea to a point where it's closer to becoming a reality. It's tough to imagine what Facebook without ads would even be like. Unless you joined the site in its most nascent stages (and when it was still "thefacebook.com"), you probably can't even fathom what it would be like to be on the site or mobile app without being inundated with advertising in some form or another that seems to follow you all over the damn internet. Dare we say it sounds kind of... calming?